Yan Ge was born in Chengdu 33 years ago. 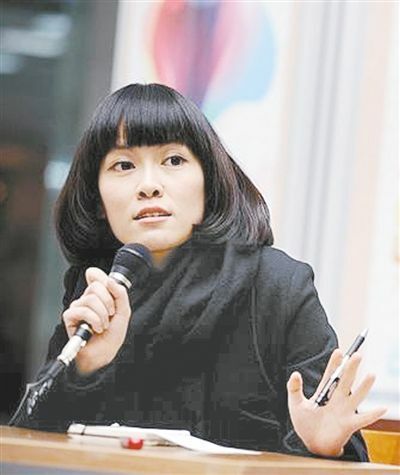 She won the New Concept Writing Competition at 18 by more than 50,000 contestants, as Han Han and Guo Jinming succeeded to achieve before her. This launches her career and publishers are rushing. The successes are confirmed but she has the courage to follow, from 2011, two years of studies at Duke University in the United States. She planned to continue at Columbia University but met Daniel, a professor, an Irish. A love story, after a year, they will be married in Chengdu and Columbia is abandoned in favour of Dublin. We will not list all the literary prizes she has collected, nor her ten novels and collections of short stories. What is translated makes you want to read more; this will certainly happen as she has an effective agent (The Grayhawk Agency). This short novel published in 2008 was translated by Nicky Harman and published as E-book in 2014 (1). Yun Yun, like the author, lost her mother very young; she lives with her aunt and with a somewhat older cousin, Zhong Qing. Qing is in love with a boy, Ye Fang and Yun Yun plays the chaperones. Yun Yun sees more and more often white horses, fatal omens because relationships deteriorate between adults: old love relations between Yun’s aunt and her father. The mistress of the father, Mrs. Xiang, is also the teacher of Qing. Everything gets complicated but Yun Yun will pass her exams. The first chapter was translated into English by Nicky Harman under the title “Dad’s not dead”. 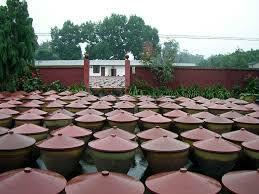 In France, the book was translated by Alexis Brossolet and published a few months ago by the “Presses de la Cité”(2). Dad has a strong sense of family, but his relationship with his older brother, a still unmarried scholar, is distant. He cheerfully cheats his wife Anqin and has installed his mistress in the apartment above her mother’s, a great practical sense! The organization of the anniversary of the 80 years will be the occasion of many adventures, conflicts, threats of divorce and health accidents for Papa who abused Maotai, tobacco and his various mistresses. This grandiose laundry of dirty linen, will not even spare grandmother, the icon of the family, who is not really the leader of a virtuous clan. Good dialogues, lots of twists and turns, you do not get bored even if Yan Ge does not always avoid repetitions especially on the relations between Dad and Mom and the various oppositions to their marriage. A good book for holidays, but does the characters and the plot justify 320 pages while the short stories by Yan Ge, published by the Irish Times or Paper Republic, are of a much higher quality. We are told little about Sichuan and its characteristics even if the author uses many dialect terms from her province, a nightmare for translators! Pingle developed and modernized in the 2000s, but it was not a matter of interest for Yan Ge who carefully avoided political allusions. Only the corruption of civil servants is addressed; Dad is a specialist in these operations, but in the days of Xi Jinping, it became a politically correct subject, especially when it comes to local officials. It is interesting to compare the translations: that of Nicky Harman (3) is of a style quite classic and of good quality. Translation into French makes the choice of spoken language, slang and does not exclude vulgarity. It is not a value judgment but a finding that one does not seem to read the same novel. This is quite in line with the position of the author: “I do think that translation is something that belongs to the translators themselves … I think translation is like the revision of the original narrative, the language and the wording system that the translation will pick “. (1) Yan Ge, “White Horse,” by Nicky Harman, Hope Read Publishing, London. 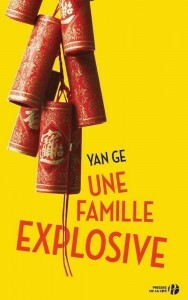 (2) Yan Ge, “An Explosive Family,” translated into French by Alexis Brossolet. Presses de la Cité 2017; 320 pages, 20 euros.